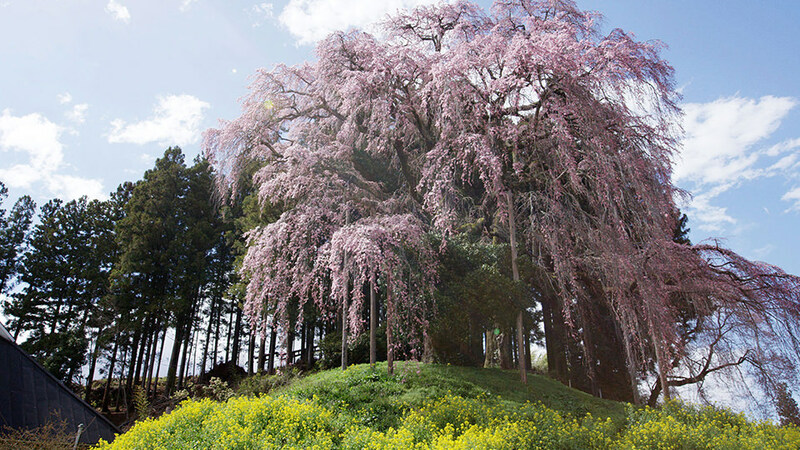 Kassenba no Ipponzakura, which translates to “lone sakura on a site of battle,” is a weeping cherry tree with pink flowers on the site of an 11th century battle. It is breathtakingly beautiful when in full bloom—the drooping branches look like a waterfall of flowers. Despite its name, it is actually not one but two trees snuggling close together. For this reason it is also known as Meotozakura (“husband and wife sakura”). 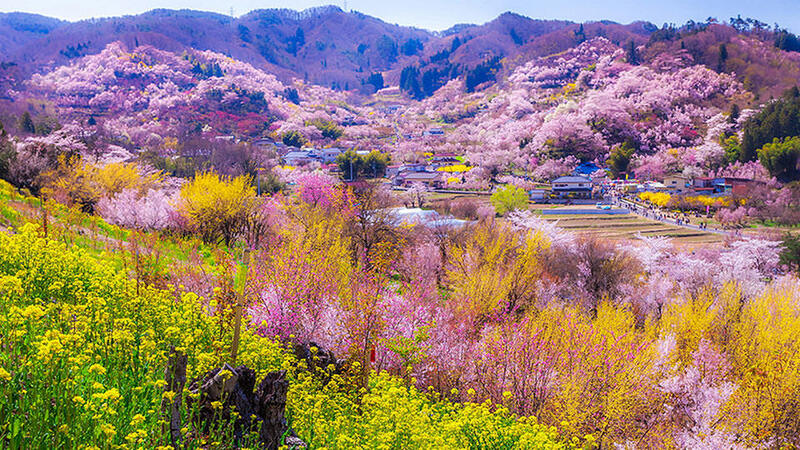 A park located in the hills of the southeastern part of Fukushima City, it is also known as “Togenkyo” (meaning “utopia”). The park features a wide variety of flowers, from cherry, plum, and peach blossom, to forsythia and flowering quince. Seeing them all in full bloom at once is an unforgettable sight. 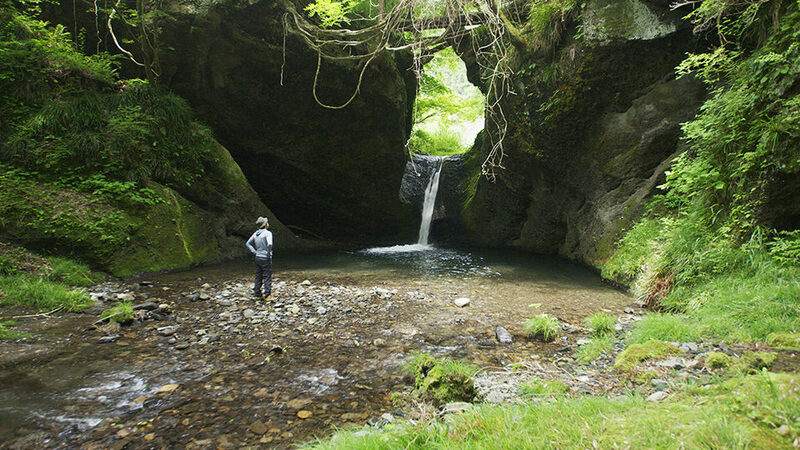 Although only 5 meters high, it is very popular with waterfall enthusiasts due to its unusual shape. Water spills out from a deep U-shaped cleft gouged into the rock face. The waterfall is surrounded by lush greenery, creating a mysterious, otherworldly atmosphere. 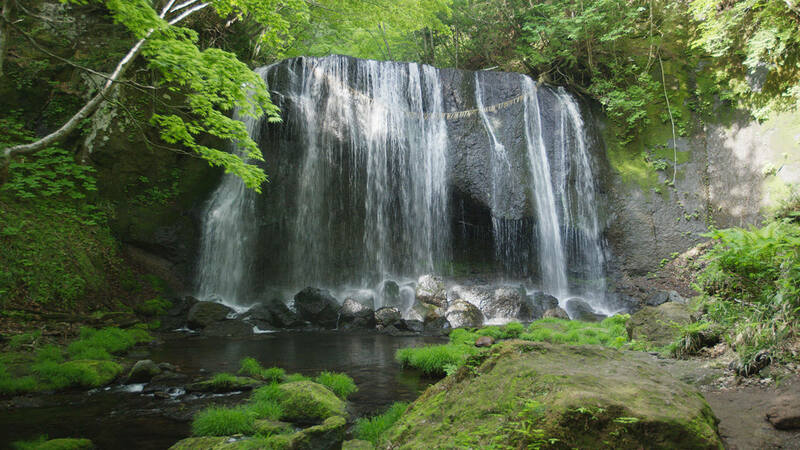 About 1 kilometer from Nakanosawa Onsen hot springs, this 10-meter high, 16-meter wide breathtakingly brisk waterfall looks like a curtain of water. It is actually considered one of a pair of waterfalls located close to one another—the other, smaller one is spectacular as well.